Scenario Builder – tool for creating a real world scenario. 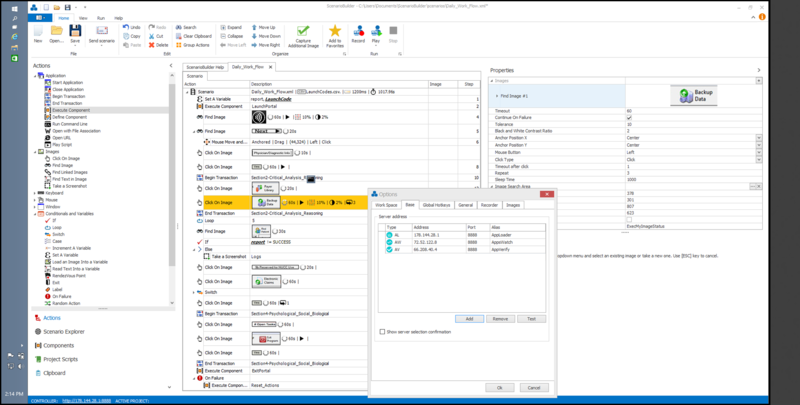 AppLoader Controller – organizes, drives, manages, and monitors the load test. 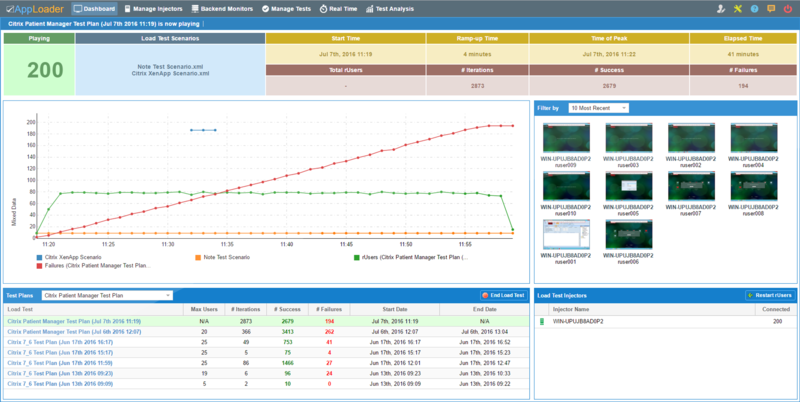 AppLoader Reporter – for viewing results of the load test and correlation of application performance with behavior of back end components as application is stressed. AppLoader Injectors – Manage rUsers ( virtual users ) and generate the load. Scenario Builder allows you to create real world scenarios. 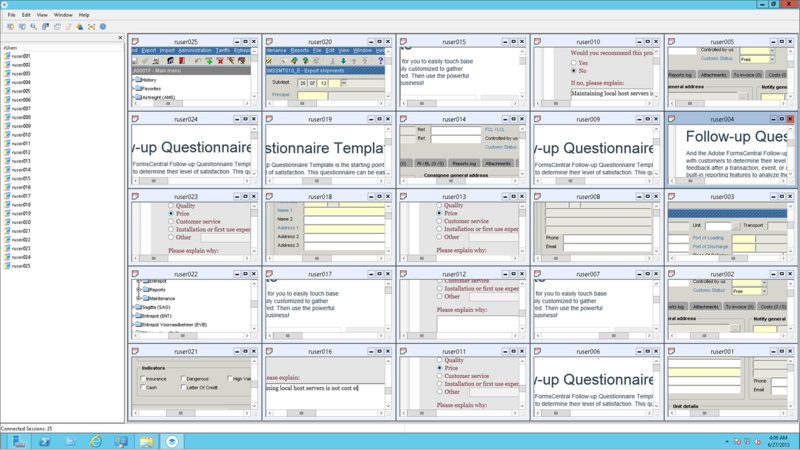 With ScenarioBuilder, you can create simple to complex test scenarios — without any scripting or coding. set a certain number of iterations for playback. generate load-test results for graphing and reporting in the Reporter. 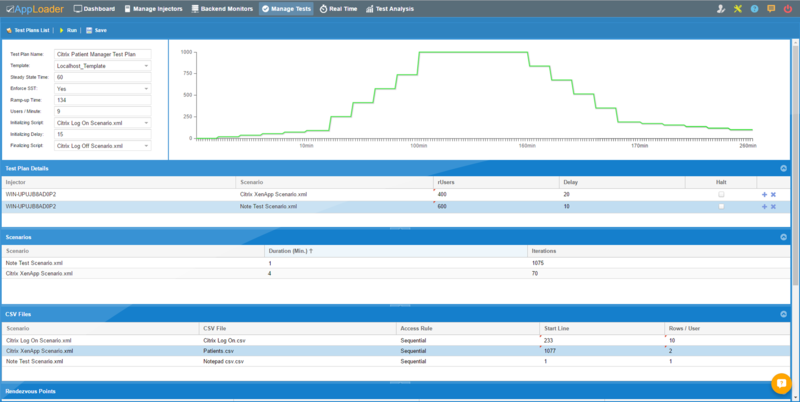 AppLoader Reporter allows you to view reports and graphs of the load test. 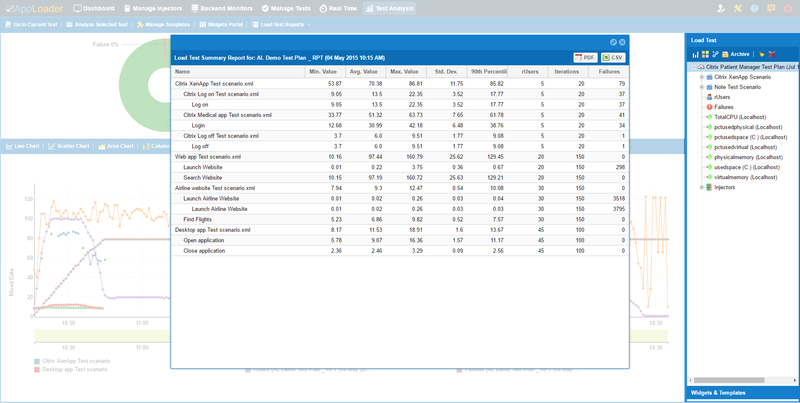 Injector allows you to view reports and graphs on the load test. play scenarios created by Scenario Builder. load / stress applications, or control QoS. calculate Scenario execution time for any given application. send the Scenario and Transaction execution results per iteration to the AppLoader Controller. Application timeframe on an accumulative basis between each user action. Breaking points in terms of timeframe, number of users, sessions, etc. Correlation between timeframes and bottlenecks. Limits related to the bandwidth.